​Today, Tom continues his long-standing dedication to helping families of wealth and family-owned businesses succeed. He helps families develop a shared vision for the family and for the business; identify individual talents; tackle any unspoken issues; and create individual and organizational strategies to ensure a personally and financially rewarding business. In addition, Tom assists families of wealth with the creation of a wealth preparation plan that ensures family values continue to emphasize a family culture of gratitude, philanthropy and purposeful living. 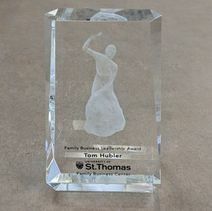 Tom Hubler was awarded the University of St. Thomas Family Business Center's Family Business Leadership Award! Thank you to the University of St. Thomas for the honor! A nationally recognized expert on family business issues, Tom has made multiple appearances on NBC TV's Today Show. 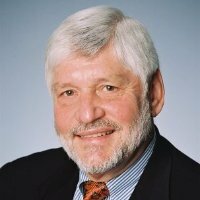 He has also been quoted in publications such as The New York Times, The Wall Street Journal, Business Week, Corporate Report, Nation's Business and Inc. Tom is an editorial board member of Family Business Review and has authored articles on success strategies for family businesses. Tom tends bees and harvests the honey for family, friends and clients. His "Three Acre Wood" honey is noted for its mellow flavor and vibrant color. Tom also hosts an annual "Feast of St. Ambrose" talk on beekeeping, a popular program at the Minneapolis Rotary Club where he has been a member since 1986. For Tom, the adage Do what you love and you'll never work another day in your life is particularly appropriate. To work with the dean of family business consultants, email us, call us at 612.375.0640, or fill out our contact form. "Tom Hubler has become a friend and trusted advisor to the family"